Whether you love it or hate it, the well-known phrase… Location, Location, Location… Is here to stay. Apart from being a catchy phrase, the reason why it has been around so long is that when it comes to Property Investment, there couldn’t be a better phrase to sum it up. After all, whether you’re buying to sell for a quick profit, or you’re looking to buy to let. The location is critical if you’re going to get it right. Here I am going to show you why the Chester is such a great place to invest in property. So now you know ‘why’ Chester is such a great place for you to invest. How do you know ‘where’ in Chester, you should invest? Don’t worry, I’ve covered that for you, in this quick, little video below. So, you’ve found the right location, but how do you know how much rent you might be able to get? This video will share with you in less than seven minutes, exactly HOW to find what your rental income and return will be for properties in Chester. I love areas where there are large-scale current and future planned investment. When the area gets nicer, people with money want to live there. And that means higher house prices. If you can get in at the beginning, you can make a very nice profit (from either re-selling or from rising rents). How does Chester fit in? There are a number of high profile developments and infrastructure improvements going on around Chester. This is called the One City Plan and has been given a fund of £1.3 billion. The most notable part of this is the Northgate Development, which has an investment of £460 million. This will contribute around 1,600 permanent jobs in the area, plus construction posts. An annual increased spend in the economy of £143m. The council has stated there is a net residual requirement for 1,496 extra housing units to be built per annum between 2008-2021. During April 2003 to March 2009 (a 6 year period during the property boom) only 5745 units were completed. This is approx 957 per year. During the recession, new property developments are at an all-time low across the UK, but even if the building level returned to boom levels, it would still fall far short of the required figures. This shortfall will put pressure on the local housing supply. The population of the area is predicted to increase by 11% by 2031. 78% of occupied dwellings are owner-occupied and 7.1% are privately rented. There are currently approximately 12,000 applicants waiting for social housing throughout West Cheshire & Chester. So we have exactly what an investor would want: demand rising far faster than supply. Higher prices can be good because they’re an indication of steady demand within an area. Steady demand usually means a safer investment, if you’re risk-averse. I’m a real believer that there’s no “one size fits all” approach to property investment, it’s all down to your own investment goals and how much risk you’d like. Chester has something for everyone. For example, the drop in price for one bedroom flats is attractive to investors looking for properties at depressed prices and the strength in prices for 2 bedroom houses appeals to investors looking for properties likely to have more stable prices. As you can see Chester is a great location if you’re looking for a good all-rounder with solid yields. But if you’re after lower value properties and even juicy yields and higher returns on investment, why not consider Warrington? Or if capital growth is your thing and you want stability and are happy to pay the higher property prices, then take a look at South Manchester. I appreciate that investing in property is a big decision and you want to make sure you pick the right people to work with. Which is why I do things differently. If you want to see how, why not take a look at my background and see why I’m different. For the Chester heatmaps, have a look at Mouseprice.com. 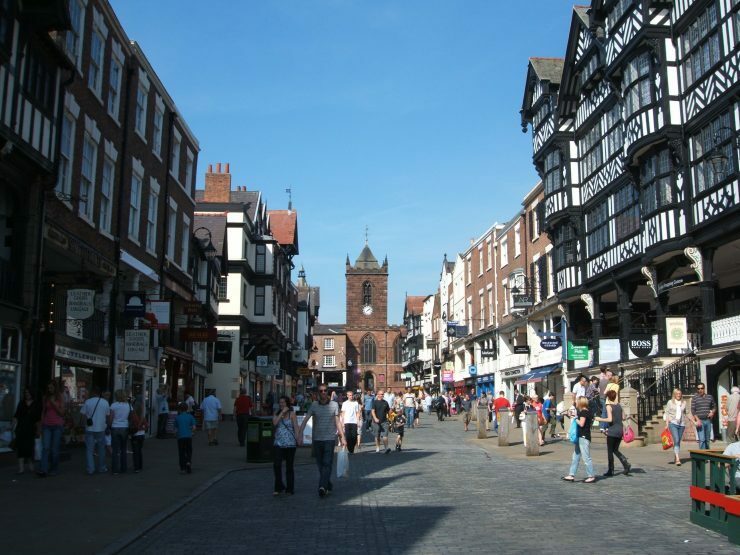 To see the local market rents for your Property Investments in Chester, check out Rightmove.com. To see the Local Housing Allowance for your Property Investments in Chester, check out the LHA Rates Website.